Ahead of the release of the film Soorma, actor-singer Diljit Dosanjh and Hockey legend Sandeep Singh engage in a conversation with Parul Sharma on Firstpost's It's A Wrap. Diljit Dosanjh and Angad Bedi are always worth watching, but Soorma should have been a lot more than what it ends up being. 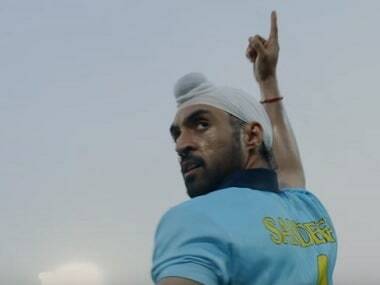 A special screening of Shaadi Ali's Soorma was held in Mumbai ahead of the film's release. The screening was attended by several Bollywood celebrities and most notably, Sachin Tendulkar. Gulzar's Punjabi-dominated lyrics run the risk of alienating a pan-Indian audience but his jugalbandi with Shankar-Ehsaan-Loy makes Soorma an album for all.